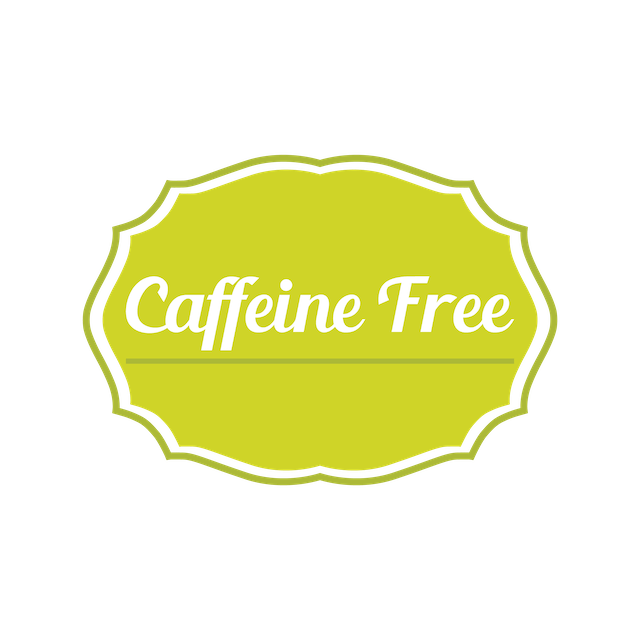 Are you looking for caffeine free pre-workout supplements to boost your training sessions? Maybe you’re tired of those crashes and side effects that you’ve experienced after taking caffeine or just want to take a break and quit caffeine for some time. In both cases, a pre-workout supplement without caffeine can be a good alternative to your regular caffeine supplement. Here are our 5 best caffeine-free pre-workouts to help you fuel your workouts! Do Caffeine-Free Pre-Workout Supplements Actually Work? When browsing the internet, we can find several supplement brands that offer what’s called “proprietary blends” pre-workouts. Which means that the pre-workout contains multiple stimulants. But are these ingredients as effective as caffeine? Unfortunately, many of these pre workouts are either filled with ingredients that have no scientific evidence of their effectiveness or have some good stimulants but in small quantities. However, we can still find a few caffeine-free pre-workout brands effective ingredients and in decent quantities. Who Needs a Caffeine-Free Pre-Workout? While most pre-workouts comes with caffeine, there are a few brands that offer a stimulant-free blend that contains one or several ingredients as effective as caffeine. BCAAs or Branched Amino Acids are the building blocks of protein. We are looking here for the 3 essential amino acids (our body can’t produce by itself) Leucine, Isoleucine, and Valine in a ratio of 2:1:1 and 5 grams per serving. Citrulline Malate is an amino acid compound used by endurance athletes and strength athletes alike in order to delay muscle fatigue during intense training. Our body converts citrulline to arginine, which has the ability to dilate blood vessels, thus allowing muscles to get more blood. An optimal dosage would be 6 to 8 grams per serving. Beta-Alanine is a non-essential amino acid and a building block of carnosine, which help buffer acid in muscles during intense efforts. The recommended dose is about 3.2 grams per serving. Creatine is a “non-protein” nitrogen compound used by athletes to build lean mass and increase strength. Usually, most professional recommend a dosage of 5 grams per day. So a good pre-workout blend contains 5 grams of creatine monohydrate per serving. A caffeine free pre-workout may contain other ingredients such as arginine, choline bitartrate, vitamin B6, and electrolytes to name a few. Just make sure all the other ingredients are safe and useful. Betaine is a naturally occurring amino acid that’s usually found in pre-workout blends as replacing of creatine. To fuel your resistance or endurance training, 1 to 6 grams per serving and per day is the recommended dose. Below a short review of 5 best pre-workouts without caffeine. 6 grams of citrulline malate- A compound proven to widen blood vessels for more performance, fast recovery and better endurance. 2 grams of betaine- An amino acid that increases endurance and muscle growth. 1 gram of arginine to support amino acids, vitamins, and minerals absorption. Additionally, this stim-free pre-workout is vegan-friendly, 3rd party tested for purity and potency, and naturally flavored and sweetened with organic stevia. 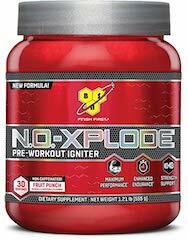 BSN pre-workout is one of the best selling pre-workout online without caffeine. It’s also a powder supplement and each container offers 30 servings of 18.2 grams. 5 grams of creatine- the best amino acid out there to build lean muscle mass, and increase strength. 2.9 grams of beta-alanine- a non-essential amino acid that has the ability to delay fatigue and increase performance during intense workouts. Various vitamins and minerals, including vitamin D, B1, B3, B6 and B12, folate, calcium, magnesium, phosphorus, sodium, and potassium. 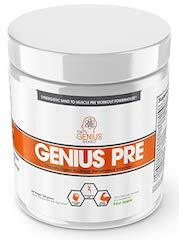 The only drawbacks to this generous pre-workout are its use of sucralose and artificial flavors. 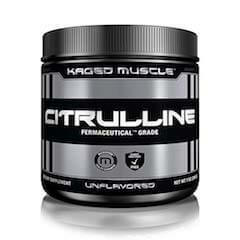 Premium L-Citrulline Powder, by Kaged Muscle, is one of the cleanest pre-workouts out there as it contains only citrulline malate. Each container offers 100 servings of 2 grams of unflavoured citrulline malate to improve muscle vascularity. Furthermore, this formula is Vegetarian, Kosher, third-party tested for banned substances, and has no artificial flavors or colors. 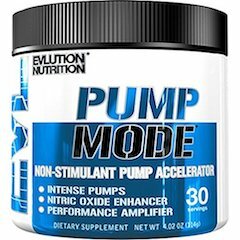 1 gram of betaine nitrate to support intense pump, performance, and vascularity. 5OO mg of vitamin C an antioxidant that helps with the repair of body tissues and growth. Vitamin D to support bone health, muscle contraction, and immunity. 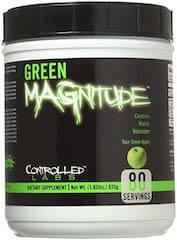 Green Magnitude is a caffeine-free pre workout from Controlled Labs. It contains various ingredients to improve your stamina, strength, and performance during your intense exercises. 2 grams of taurine- An amino sulfonic acid used to improve mental, performance during your sessions in the gym. 500 mg of tyrosine- is another amino acid found in protein-rich foods such as meats, fish, eggs, nuts, oats, wheat, and dairy products. 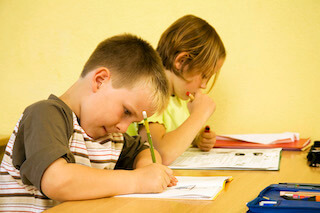 It’s mainly used in the sports supplements to improve focus and alertness. Caffeine free pre-workouts can be a good alternative for those who are caffeine sensitive or those who simply want to take a break from supplementing with caffeine pills. Just remember to train hard enough and consistently to justify spending your hard earned money on one of these stim-free pre-workouts.